The Nintendo Switch is on fire. The console has sold 22.86 million units, outselling the Gamecube and has over 100 million software sales to its name as well. It is well on its way to selling 25 million units before the next fiscal year and it has surpassed expectations of selling more than 100 million videogame titles. Nintendo have yet again updated their Nintendo Million Sellers List as of September 30th 2018. Super Mario Odyssey is still reigning on top but their has been a power struggle between a few games. Mario Tennis Aces which launched in June has jumped up to 6th position. Xenoblade Chronicles 2 on the other hand has slipped to 10th with Donkey Kong Country: Tropical Freeze Standing firm at 9th. The Legend Of Zelda: Breath of the Wild, while still only in 3rd position, has broken the 10 Million mark. The 3DS is still showing positive results even though there is a noticeable drop in progressive sales. There has been no change in positions either with Mario Kart 7 still riding high with 17.52 million and Pokémon X/Y with 16.34 million. 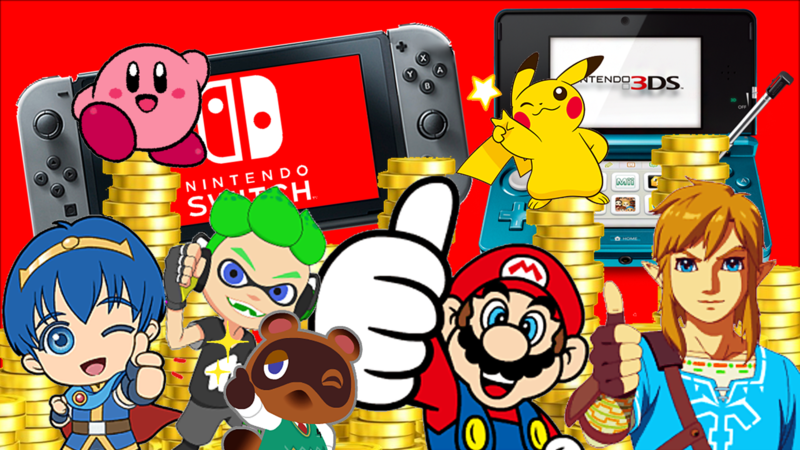 We have listed the Switch and 3DS miillion sellers software sales below. Each contains their current sales and those of June 2018 for a comparison of how well each title has done since.